A charming photographic record of the English gardening scene by one of the best-known figures in postwar British horticulture. Nancy Lancaster, society hostess and interior designer, sports an elegant straw sombrero and snips delicately at her roses, while Mr. Shepherd, her gardener, wields his shears and neatly clips the topiary at her house, Haseley Court. They and many other dedicated gardeners are captured here by the discerning eye of Valerie Finnis—with just the gentlest touch of humor—in her photographic portraits. A well-known and well-loved figure in postwar British gardening, Finnis was also a talented photographer. 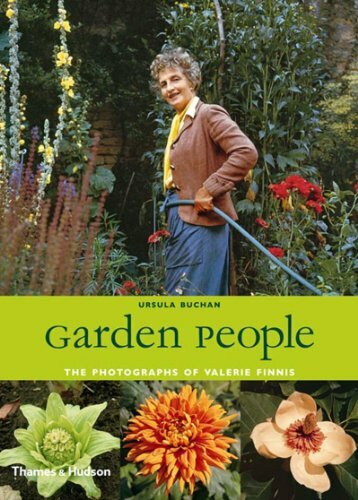 With great skill and verve, she took photographs of gardeners, gardens, and plants from the mid-1950s on, using a Rolleiflex camera that had been given to her by a friend. Together with her husband, Lord David Scott, Finnis traveled through Great Britain, meeting the famous—Vita Sackville-West at Sissinghurst, Lady Birley at Charleston Manor, Roald Dahl and his family at Great Missenden—as well as less-known gardeners, nurserymen, plant enthusiasts, designers, and artists. All are seen at home in their gardens, weeding, inspecting, watering, and standing proudly by their plants, wearing the fashions of the day, epitomizing life and society in the second half of the twentieth century. 200 illustrations, 100 in color. If you have any questions about this product by Thames & Hudson, contact us by completing and submitting the form below. If you are looking for a specif part number, please include it with your message.